After a week with few upsets in college football, the TicketIQ Top 25 stayed consistent as well. 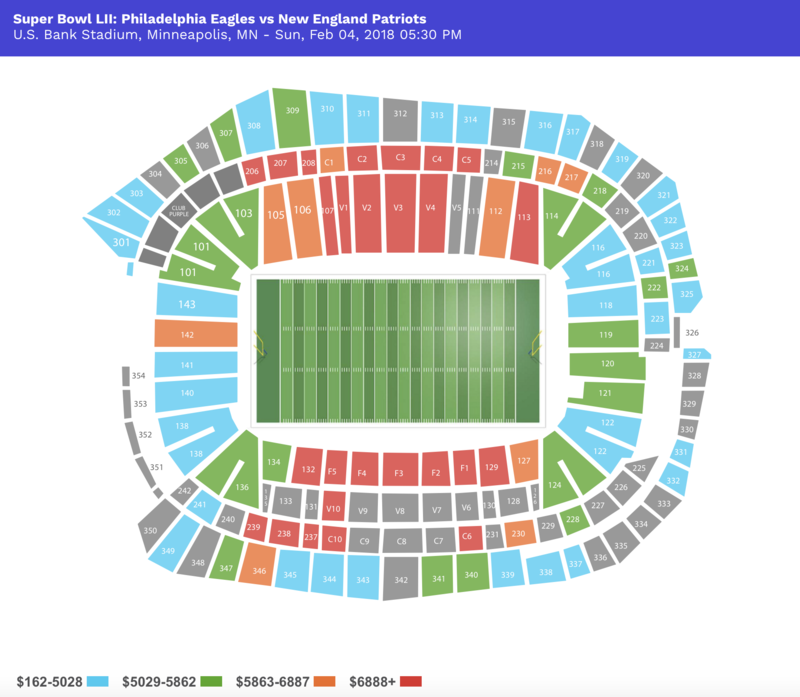 However, ticket prices in general did go considerably down across the board throughout the week. Only four out of the twenty-five teams actually had their average ticket price go up after the weeks end. Prices should start to go back up as the 2nd half of the season offers more premier match-ups. Alabama was one of the few teams whose prices went up after their thrashing of Georgia State. The Tide shockingly dropped out of the Top 10 last week but move up to #7 this week largely due to heavy drops in prices by other teams. ‘Bama only has one more ranked team on the schedule as of now, a showdown with #10 LSU in early November. The team still has the allure of being the #1 team in the nation, so expect the Alabama football tickets to stay in the upper echelon of ticket prices for the remainder of the season. The Oregon Ducks have not played a ranked team yet this year and have outscored their opponents by an average of 47.4 points. They do however have a packed upcoming schedule, starting off with a date this week with the #16 Washington Huskies. Surprisingly, Oregon football tickets dropped by 4 percent this week and slid to #6 in the Top 25 with the surges of Texas A&M and Georgia. A win in Seattle could move Oregon to the Top 5 next week with UCLA and Stanford looming. The Wolverines stay in the top spot this week after claiming #1 last week. Michigan has only played one ranked team but has made this season very interesting with close games against mediocre talent. The Big Ten Legends division race is wide open and could lead to a great 2nd half of the season. Michigan football tickets lead prices at $241 a pop, which is still a nine percent drop from last week. Urban Meyer has been nothing short of magnificent since joining the Buckeyes in 2012. Ohio State has not lost a game under Meyer in his tenure and solidified their #4 national ranking with a win this weekend against Northwestern in Evanston. As for the TicketIQ rankings, Ohio State football tickets stay at the #2 spot with an average price of $235. The Buckeyes do not play a ranked opponent until the last game of the season against Michigan. Coincidentally, the game is shaping up to be one of the most expensive college football games of the year. The Red River Rivalry will be played this week and Oklahoma takes a 5-0 record into the Cotton Bowl to play the 3-2 Texas Longhorns. The Sooners sit atop the Big 12 with Texas Tech. Many college football critics will be looking closely at this game as Mack Brown is in the hot seat for the ‘Horns. A win this week against a bitter rival might give Brown a little more breathing room. OU still has games against three more ranked opponents, so expect ticket prices to rise in the next few weeks. Oklahoma football tickets actually jumped eight spots this week in the Top 25 to #16 with an average price of $134. That is a two percent increase for the Sooners who are ranked #12 in the nation. LSU’s dominating performance against fellow SEC member Mississippi State did not help the Tigers in the TicketIQ 25 after suffering their first loss of the season to Georgia a week earlier. LSU football tickets sit at #8 in the TicketIQ rankings at $161 average ticket. That is a seven percent decrease from their average ticket price last week. The Tiger do however have a lot of huge match-ups left on their schedule including the aforementioned meeting with the Crimson Tide in Tuscaloosa. Prices for LSU football games should expect to increase as those match-ups gets closer. Remember to keep checking back on TicketIQ.com for the best deals on all NCAA football tickets, from the regular season through the BCS National Championship game.